This episode was recorded on April 15, 2018. In the second episode of This Is Not An Interview, Tia talks to Magdalene Visaggio about Eternity Girl, death, being a history nerd, SMASHMOUTH BECAUSE HEY NOW YOU’RE AN ALL-STAR, why we love Shade the Changing Girl, characters behaving badly, and other random things! This Is Not An Interview is now a monthly bonus minisode and will appear in your regular feed! Stay subscribed! This week's music was by Infinity Shred. This episode was produced by Mike Rapin and edited by Zander Riggs. Have a question? Want us to talk about a topic? 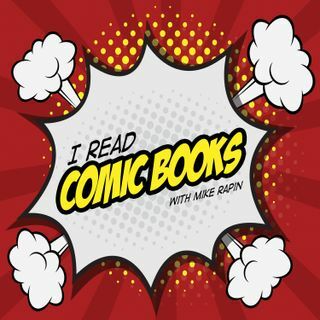 Submit discussion topics to our subreddit /r/IReadComicBooks or our Goodreads group and get a hold of us in the comments or here: ircb@destroythecyb.org – @ircbpodcast & #IReadComicBooks.